Caspian Mainport fleet takes delivery of its fourth vessel purchased in four months. The C.M. 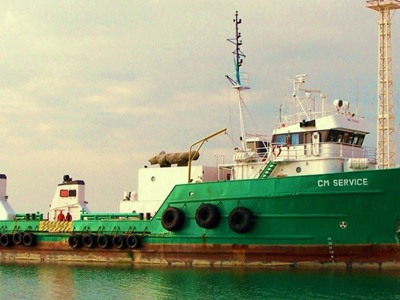 Service is a Supply Vessel with shallow draft and good deck space making it particularly suitable for Kashagan operations. The vessel also has a 24 man passenger accommodation module fitted to facilitate passenger transportation.